This is the first post in what will be a series on defending one’s self at a Peoria, Illinois probation revocation hearing. I felt it necessary to write on this topic as many defendants believe that there is nothing they can do once the revocation process has begun. The fact of the matter, however, is that one may be able to gain reinstatement or even fight the revocation altogether. The goal of my coming posts is to provide information which will help the accused to better understand their options and to assist them in making an informed decision when contacting a criminal defense attorney. If you find yourself facing a revocation hearing then contact my office today to speak with a lawyer. There are multiple reasons why defendants should understand these issues. First, some make the mistake of thinking that they have to commit a new offense in order to have their supervision revoked. The truth of the matter is that revocation may occur for things as small as not checking in with a supervisor. Second, defendants often err by thinking that there is nothing they can do once the process is underway and that their probation is sure to be revoked. Often, however, it is possible to negotiate a deal with prosecutors in which an accused will be put back under supervision with additional requirements. Third, depending on the circumstances it may be possible to go through a revocation hearing and gain an order from the Judge stating that the defendant is to receive another chance at probation. Finally, it is important to understand that if you are given another chance at supervision then you should make the most of it. 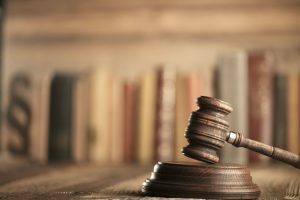 One point I cannot stress enough is that you should contact an experienced defense lawyer if you or a loved one are facing a hearing to terminate probation. How you approach the matter can decide whether the accused will serve a prison sentence or whether they will be given another opportunity. I am a Peoria criminal attorney who handles such matters. As a former prosecutor I am familiar with our local court systems and I know what to expect as your case moves through the system. Contact my office today to schedule an initial consultation.